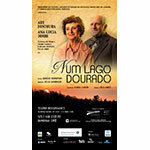 Playing for the first time in São Paulo, Brazil, at the Teatro Renaissance, this much anticipated production of NUM LAGO DOURADO (ON GOLDEN POND) opens on April 8, 2017 and runs through July 2, 2017. 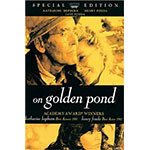 Directed by Elias Andreato, translated by Eloísa Cantón and starring Ary Fontoura and Ana Lucia Torre, with Tatiana De Marca, André Garolli, Fabiano Augusto and Lucas Abdo. For more information, click here. 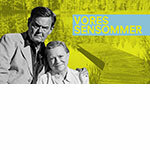 This Danish production of VORES SENSOMMER (ON GOLDEN POND) is not one to miss. The tour runs from October 24, 2016 – January 2017. 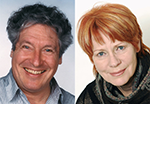 Directed and translated by Anders Lundorph and starring Lisbet Dahl and Ulf Pilgaard, with Troels Malling, Trine Pallesen and Martin Hestbæk. For more information, click here. 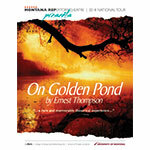 GERMAN TOUR This highly successful nationwide tour of DAS HAUS AM SEE (ON GOLDEN POND) will resume on September 29 – October 20, 2015 and will run again from March 25 – April 30, 2017. Directed by Dominik Paetzholdt and starring Volker Brandt and Viktoria Brams, with Susanne Meikl, Momme Mommsen and Lukas Ruben Eickholl. Translated by Ella Dietrich. For more information, click here. Known around the world for his role as Captain B.J. 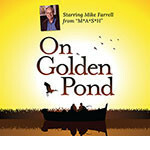 Hunnicutt in the ever-popular TV series M*A*S*H, Mike Farrell returns to the stage as Norman Thayer, Jr., this time at the Alhambra Theatre in Jacksonville, Florida. 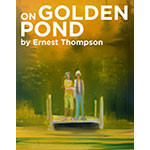 Performances of ON GOLDEN POND run April 1 – May 3, 2015. For more information and to purchase tickets, click here.